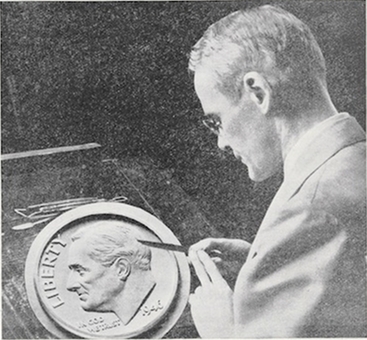 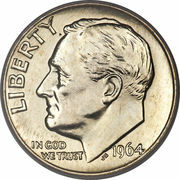 1 Dime "Roosevelt Silver Dime"
The portrait in left profile of Franklin D. Roosevelt, the 32nd President of the United States from 1933 to his death in 1945, is accompanied with the motto: "IN GOD WE TRUST" and sourrounded with the lettering "LIBERTY"
John Ray Sinnock was the eighth Chief Engraver of the United States Mint from 1925 to 1947. 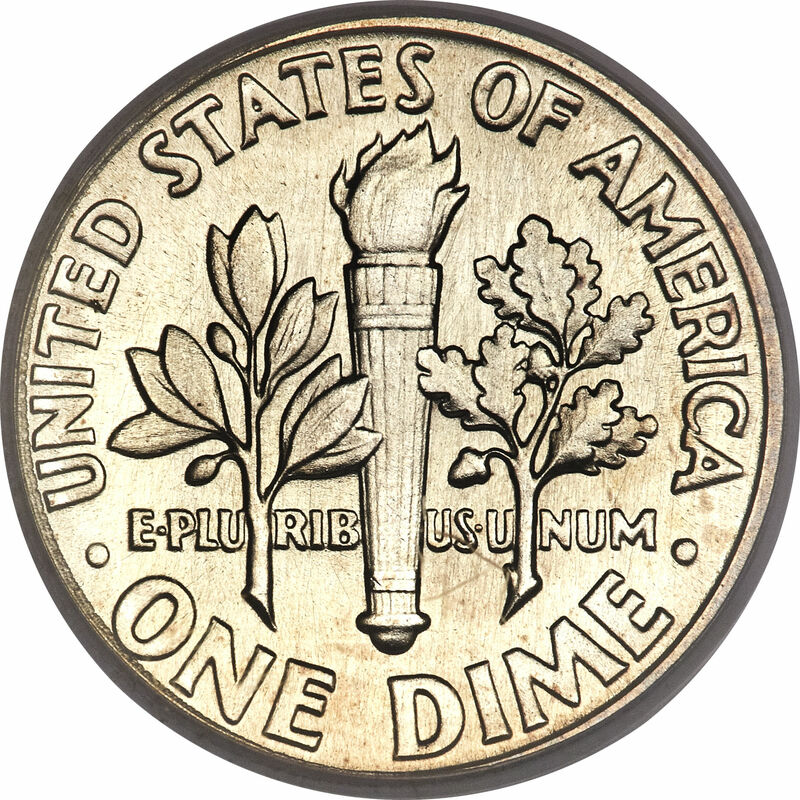 Ahead the motto "E • PLU RIB US • U NUM", an olive branch, a torch and an oak branch symbolize respectively peace, liberty and victory and are surrounded with the facial value and the lettering "UNITED STATES OF AMERICA"
If there is a Mintmark e.g. 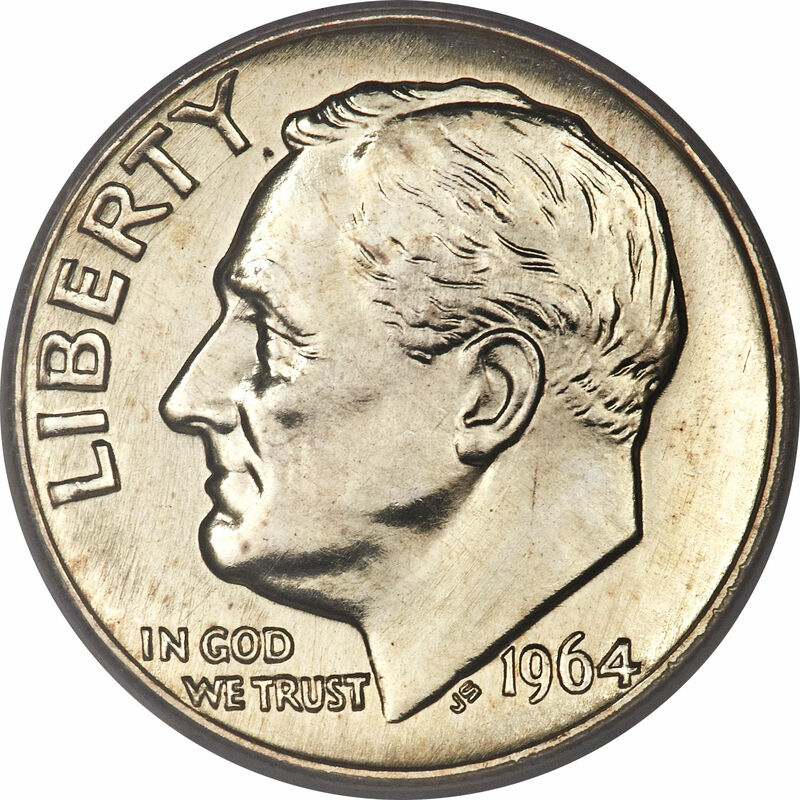 D or S it is to the lower left of the torch (below B of PLURIBUS and above E of ONE). 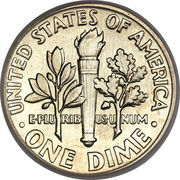 Catalog › United States › 1 Dime "Roosevelt Silver Dime"